School Backpack. 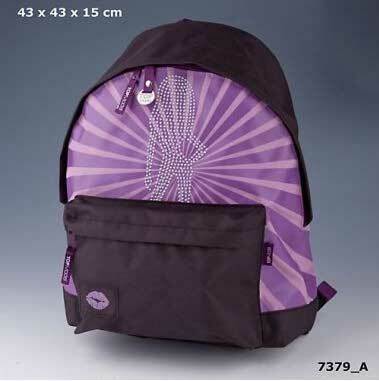 Start the new year in your school backpack with your dazzling fashion, centrarás full attention of your classmates. Slowly approach the end of summer and that means that we must prepare to begin a new course. Do not be sad, because although the summer is over and you have to start school, thinks that after studying hard, another summer back again better than the last. For this course a nice start, we present the backpack Topmodel, a reason for the first day of school all your friends get noticed. If you want the most fashionable backpack, you know! The model will capture on canvas bright eyes of your compys class. Practical, durable and adjustable so you can use for school or extracurricular activities.